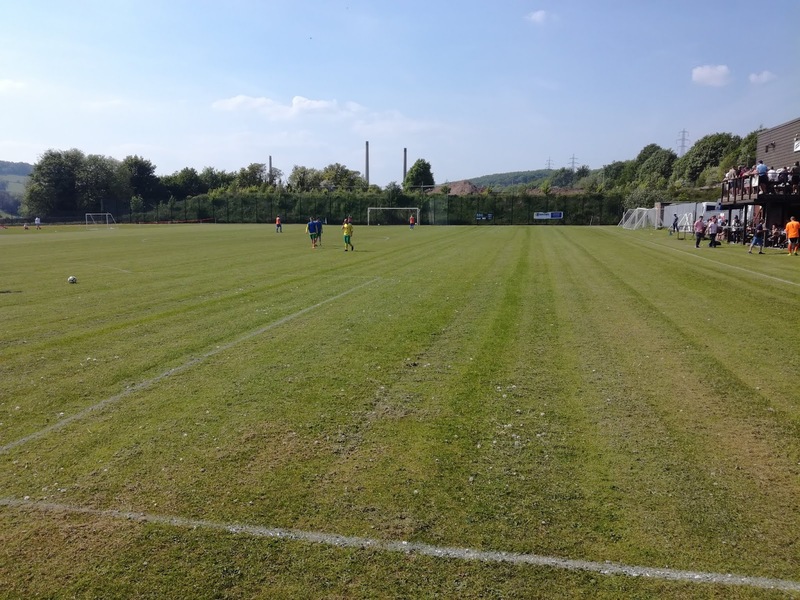 A lad I work with used to play in the Sheffield County Senior League, and one of his fondest memories was of playing in away games at Jubilee Sports. I’d never really paid much attention to the clubs name, but it appears Jubilee was the name of an ale made by the Carter, Milner and Bird brewery that was based on Clay Wheels Lane in Hillsborough. Jubilee Sports was effectively the sports and social club arm of the brewery and their facilities also sat on Clay Wheels Lane, next door to where the hops and barley were conjoined! Whenever a team visited Jubilee Sports, after the game the hosts were kind enough to leave a crate of Jubilee Stout for the players and management to enjoy. I could start to see why my colleague enjoyed his encounters with them so much! Jubilee Stout is a local but legendary Milk Stout. It was smooth and creamy say the reviews, but the last review I could find on RateBeer was from ten years ago? Does it still exist? 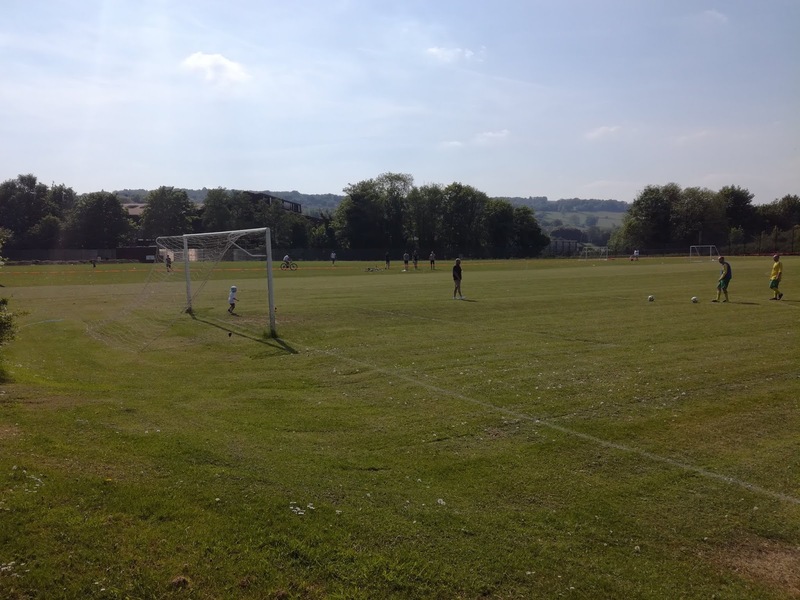 It appears not, or at least it’s incredibly hard to find, and just as the beer disappeared, Jubilee Sports Football Club also disappeared from their home and ended up playing at a school pitch at Chaucer School, less than half a mile away up Halifax Road. 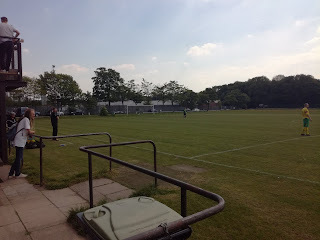 Apparently they were forced to moved due to the dimensions of the pitch, but, almost un-noticed their home ground on Full Time changed from Chaucer School to Clay Wheels Lane over the last couple of months, and it was only because a Kempster Forum member pointed it out that it came to my attention. 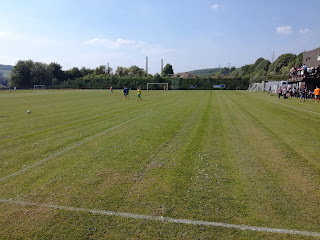 With very few options for the 19th May, I earmarked it as my game of choice, but in the preceding twenty four hours up to the game, every match in the County Senior League for that date and dates beyond the 19th were either declared as 0-0 draws or Home / Away wins. By 11am on Saturday morning, the game against champions Swinton Athletic was to be the final game of the season in the entire league, clearly some teams had decided to call it quits before completing their fixtures. It certainly put some doubt in my mind, but texts to both clubs confirmed the game was going to take place, so I could travel the relatively short distance with some confidence. I wasn’t 100% confident over the kick off time so worked on the principle of arriving before 2pm to be sure of seeing the game. 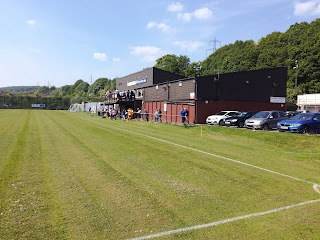 The ground sits a few hundred yards down Clay Wheels Lane on the right, and is virtually opposite the Niagara Sports Ground that itself is adjacent to the Leppings Lane End at Sheffield Wednesday. 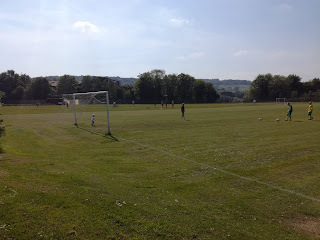 It reminded me a bit of the Civil Service Ground in Ecclesfield in that you enter along a driveway that runs alongside the rear of the pitch, before parking up next door to the large social club complex. The dressing rooms are on the ground floor, with the bar and balcony above. Arriving at the ground quite early, I was one of the first to take a seat upstairs and look out over the pitch as the home officials put up the nets. Two teams arrived in due course, but suddenly we had a problem. Word was reaching the bar area that Swinton weren’t that keen on playing, and were prepared to forfeit the game to the tune of a 10-0 defeat! The next rumour to make its way up the stairs was that Swinton had forgotten to bring a kit with them, and were having to borrow an alternative from Jubilee, and the finally, having begrudgingly agreed to play the fixture, the proviso was that it was two halves of thirty minutes only! What was indeed true and what was Chinese Whispers I couldn’t tell you, but what I can say is that Swinton had eleven players and substitutes, they had their own kit and the referee played a full ninety minutes. A decent crowd assembled on a sunny and warm day, with many of them taking advantage of some al-fresco drinking on the balcony. I recognised a few faces from within the traveling fraternity, but most seemed to be regulars at the sports and social club, or ‘The Jube’ as it is known as locally. Swinton having already won the league, were certainly not playing at full pace, but at the same time they weren’t going through the motions either. Jubilee on the other hand had a real determination to get something from the fixture, which they duly did. Goals from Daniel Barnsley, Charlie Hobson and James Gamble saw the hosts record a comfortable victory while playing some good football on a decent surface. Back at their spiritual home, with facilities of their own, it would not surprise me at all if Jubilee were to push on next season and be in contention. Whether they can find an old supply of Stout to leave in the visitors dressing room, I’m somewhat less confident about!